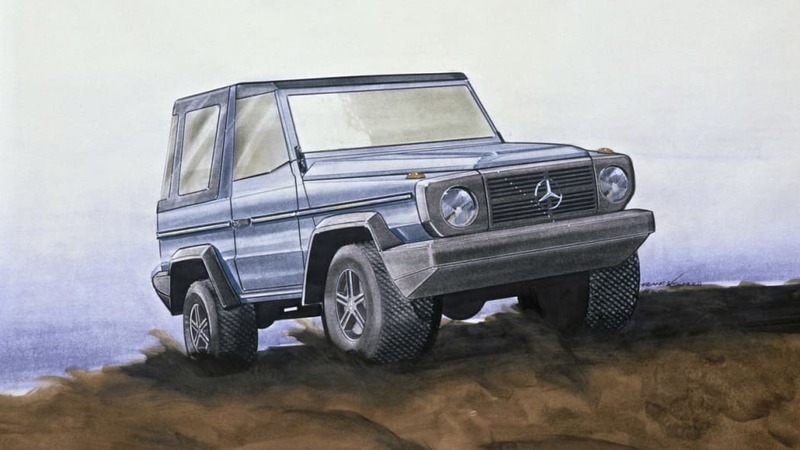 The Mercedes-Benz Geländewagen has been with us for thirty years, and it has gone from military roots to plaything of the image conscious. 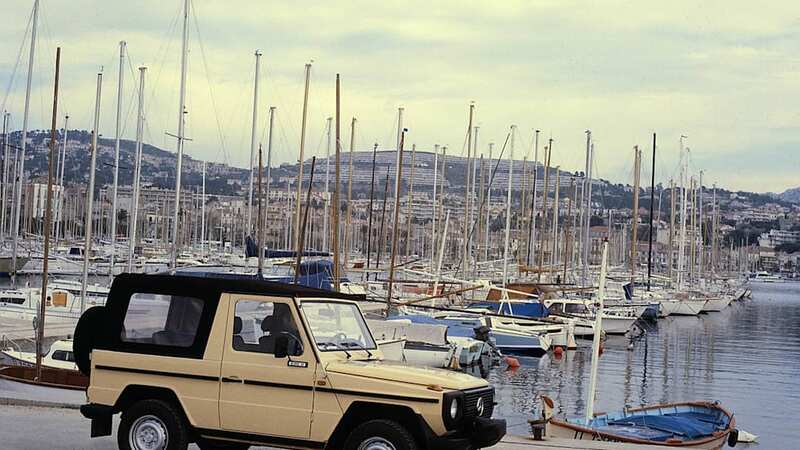 First offered to the public in 1979, the G-Wagen has been continually refined over its run, and is still mostly hand-built. The details have changed, there have been two rounds of revisions, but the look has remained unmistakeable for the entirety of the model's run. A G-class has never been cheap, and it remains a pricey and utterly capable go-anywhere vehicle. Unfortunate, then, that many only see use as any old car would, never locking a differential. 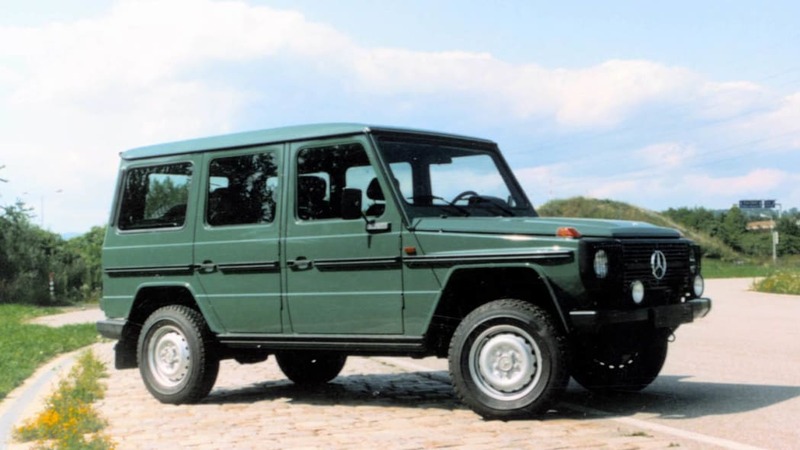 The GL-class was supposed to replace the Geländewagen, but it just ain't the same, so luckily, we get both. Carry on. Reminisce with the high-res gallery below and then check out the press release after the jump. A classic celebrates its birthday. 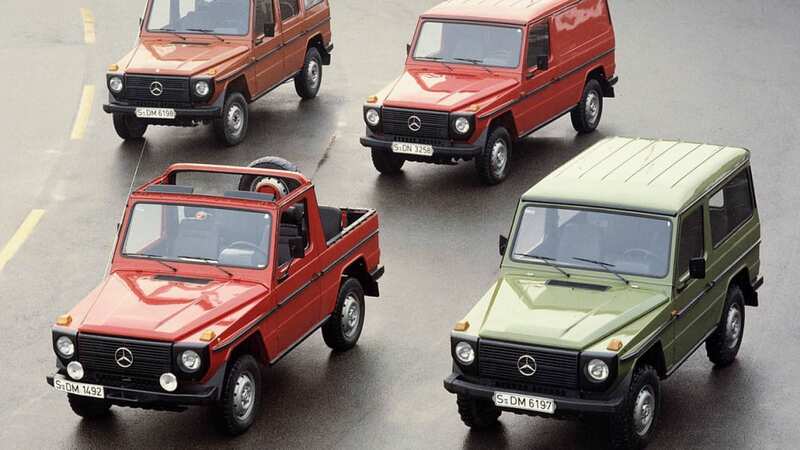 The Mercedes-Benz G was first introduced to the press from February 5 – 10, 1979. Its distinctive design, largely unchanged in thirty years, and its outstanding engineering have long since elevated the cross-country vehicle to cult status and made it one of the most coveted vehicles in the automobile market. 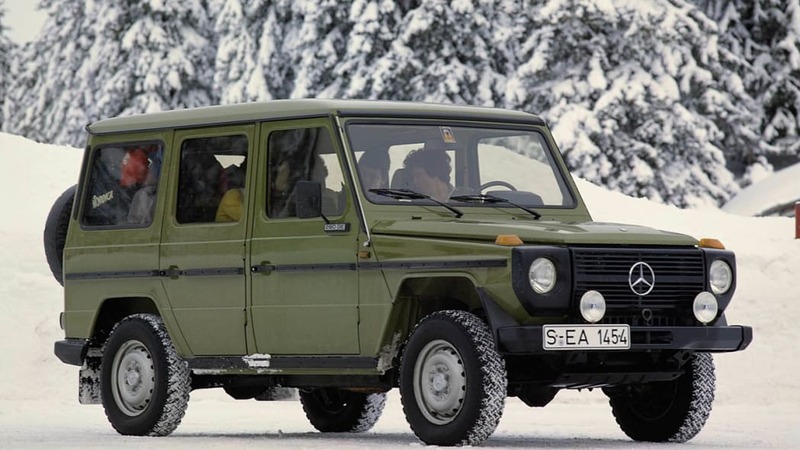 Development of the cross-country vehicle commenced in 1972 with a joint venture agreement between Daimler-Benz and Steyr-Daimler-Puch, based in the Austrian city of Graz. In 1975 the decision was taken to launch the series and build a new plant for it in Graz, where the G is still mostly made by hand even today. At the 1979 market launch, the vehicle came with four engine variants, with outputs ranging from 53 kW/72 hp to 110 kW/150 hp. 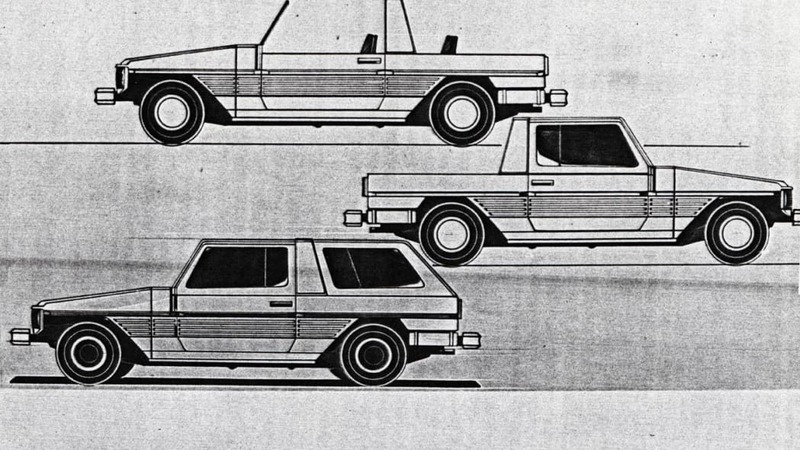 A station wagon and a panel van, each in a short- and a long-wheelbase version, were the four original body variants available. 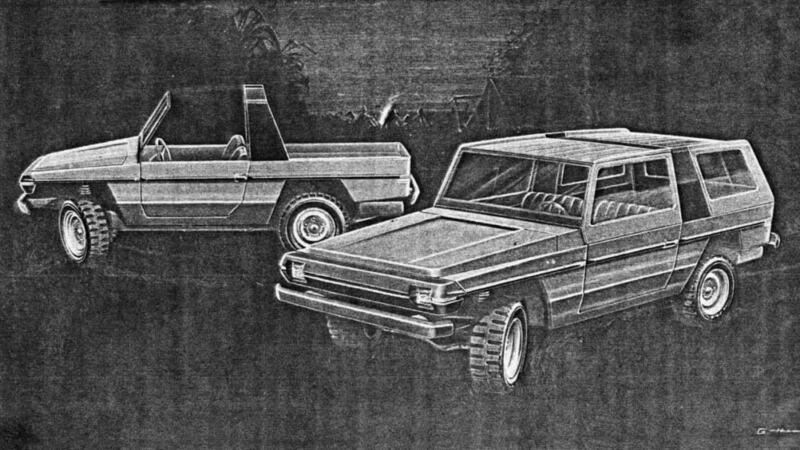 These were complemented by an open cross-country vehicle with short wheelbase as a fifth body variant. The current 463 series comprises three body variants: a two-door cabriolet, a three-door station wagon and a five-door station wagon. The top model of the current series is the five-door G 55 AMG Station Wagon, whose eight-cylinder engine delivers 507 hp (373 kW). There are also special versions for commercial customers and the military. 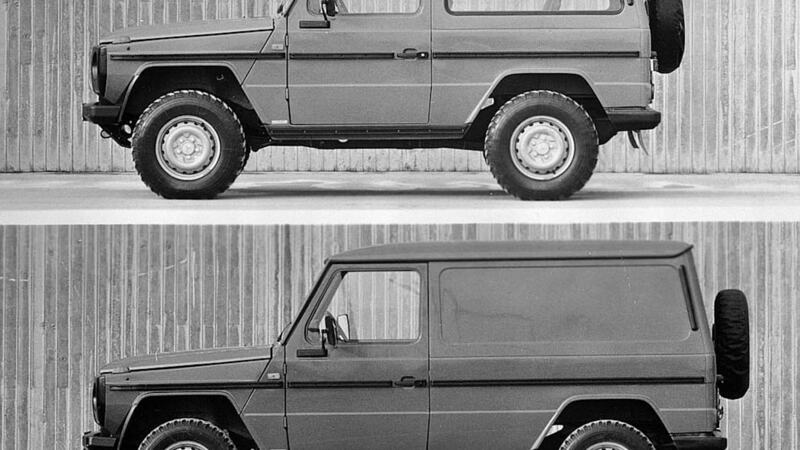 Owing to continuous model refinement, the G-Class has kept abreast of technological progress. It boasts an extremely efficient drive system. 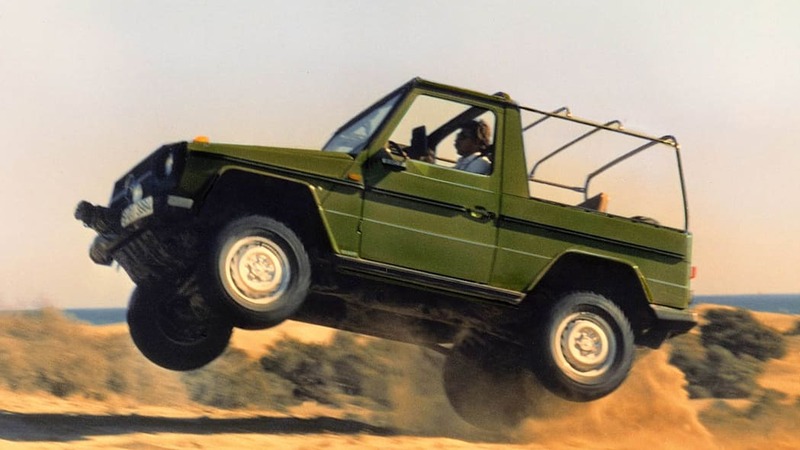 Combining permanent all-wheel drive with the electronically controlled 4ETS traction system, ESP®, a "low-range" ratio, plus three driver-selectable differential locks, the G-Class is a match for any off-road challenge, and at the same time affords typical Mercedes-Benz handling safety on the tarmac. 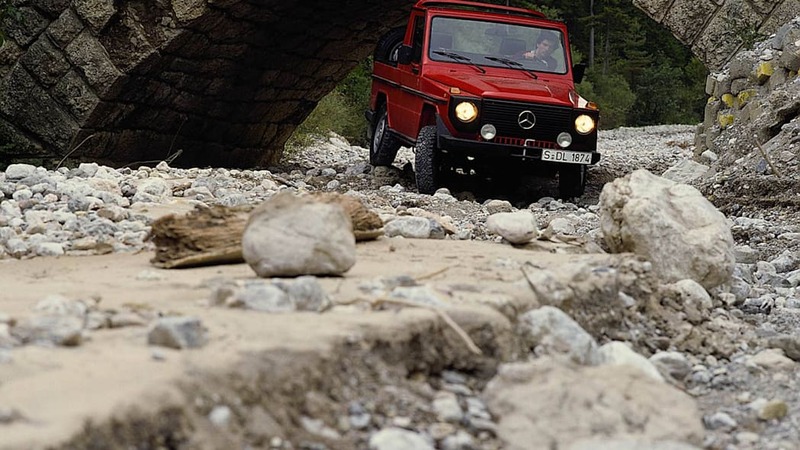 From the very beginning the G-Class was designed for operation in extremely difficult terrain. A sturdy base is provided by a perimeter frame made of box-section longitudinal and cross members that afford extraordinary rigidity against bending and distortion. The frame carries robust rigid axles featuring large coil springs with long spring travel advantageous for off-road operation. With gradeability of up to 80 percent, directional stability on lateral slopes of up to 54 percent, 21 centimetres of ground clearance, a 36-degree angle of approach and a 27-degree angle of departure, the G can conquer even the most difficult off-road stretches. At the same time the chassis affords safe, comfortable on-road driving performance. The proven basic technical concept remains unchanged even today. Nevertheless, the engineers have continuously upgraded the engineering and equipment since 1979. 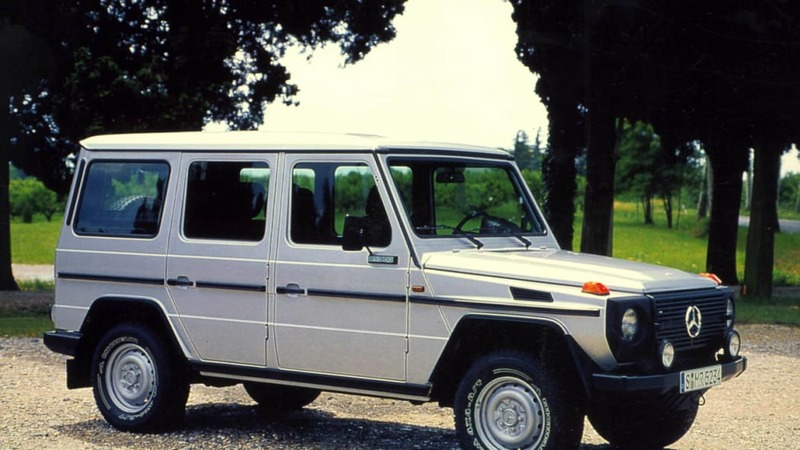 Automatic transmission and air conditioning have been available since 1981; since 1990 the G-Class has featured permanent all-wheel drive, differential locks on front and rear axles, and a fully lockable centre differential as standard. And since 2001 the G-Class has additionally offered ESP®, 4ETS and Brake Assist, giving it a combination of efficient traction and handling safety systems unparalleled worldwide.